Delhi -> Jodhpur ->Jaisalmer -> Bikaner Road Review - Ghumakkar - Inspiring travel experiences. Note 1: Please check for the updated highway numbers as per the re-numbering of the National Highways across India, wherever you see NH in this article. Note2: Take the most of the usage of Google Maps for highways, its just wonderful. A road trip starting from Delhi to Jodhpur, then over to Jaisalmer and a return back via Bikaner is an amazing experience. 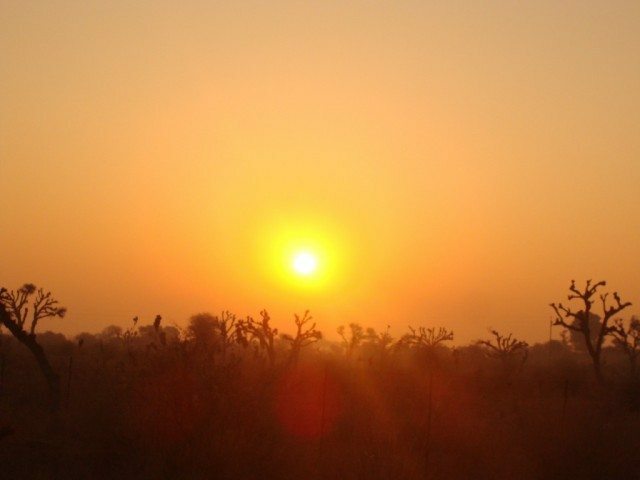 It is always advisable to start the journey at the break of dawn to avoid the rush hour. We started around 3:00 AM (did I say break of dawn?) and were in Jaipur by 7.00 AM. 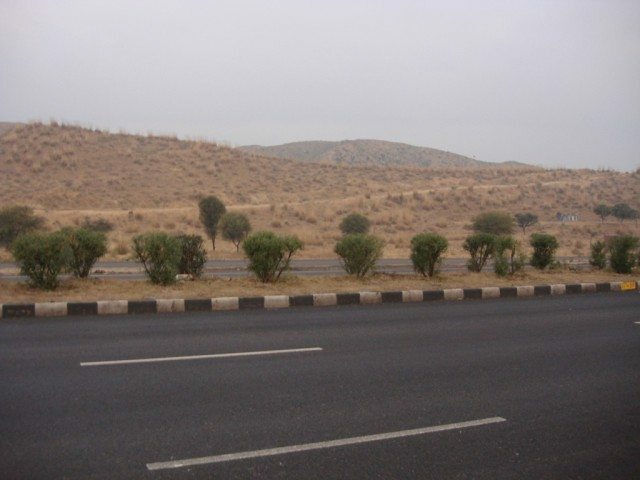 The Delhi-Jaipur Highway (NH-8) is under construction for expansion. Be prepared to face a lot of mud & deep craters on the roads. We still managed to go maintain a speed of 60-70 Kmph and sometimes accelerated to about 110 kmph. Good facilities for breakfast and refreshments along the highway provided by Rajasthan Tourism & other privately held outlets make the journey comfortable. If you are not planning a visit to Jaipur, it is advisable to take the Jaipur Bypass (around 45 KM before Jaipur). The roads here are in top shape and the journey to Ajmer is a breeze. We travelled for another 2 hours before we reached Ajmer bypass around 9AM. Another bypass from Ajmer leads us towards Nasirabad. From Nasirabad we took the road to Beawar. From Beawar it is advisable not take the Beawar bypass, but go through the Beawar city instead to get on the road to Jodhpur. Beawar bypass otherwise will be much longer. A word of caution here, ensure that you do not take the road to Udaipur instead while entering into Beawar. The drive to Jodhpur from Beawar (NH 112) was picturesque and awe inspiring. The roads are in excellent shape. At a consistent speed of 120-140 kmph we cover the distance of 200km in just 2 hours 45 minutes. We covered a distance of almost 630 kms in one day. The best part was that the journey was comfortable and we hardly felt any fatigue. It was the first time that I drove for 630 KM at a stretch with a 20 minutes break for breakfast. 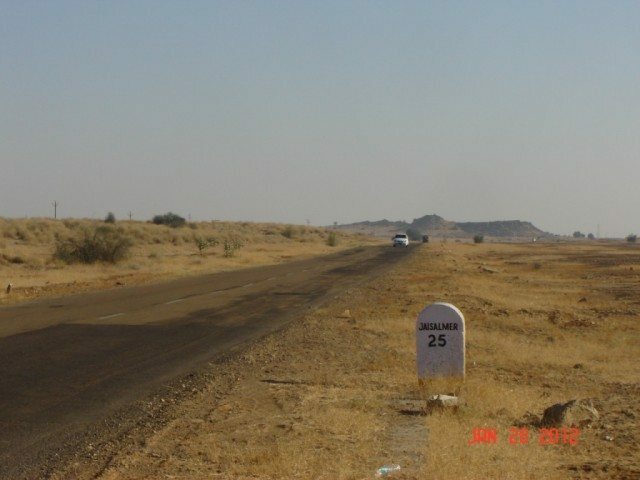 The journey from Jodhpur to Jaisalmer via Pokharan is a different experience (through NH-114 till Pokhran and NH 15 from Pokhran to Jaisalmer). We woke up around 3 am and started the day’s journey around 4 am. We were aiming to cover a distance of around 278 kms that day. The first part of the journey was uneventful and we travelled comfortable for around 70-80 kms. Then we hit a really bad patch. There were boulders everywhere and after a lot of dodging we finally hit a huge boulder. It was right in the middle of the road. But, luckily it only hit a tyre. We lost a good 45 minutes changing the tyre and then getting it repaired. So be careful a bit in this patch. The rest of the journey was comfortable with good roads and good amenities along the way. En-route we had aloo paratha’s and milk tea at a roadside dhaba. The milk tea was a different experience. For a little taste of Rajasthan add daal bati to the breakfast order. From Jaisalmer to Sam sandune you again have to take NH 15 only and cover up a distance of 42 KM. 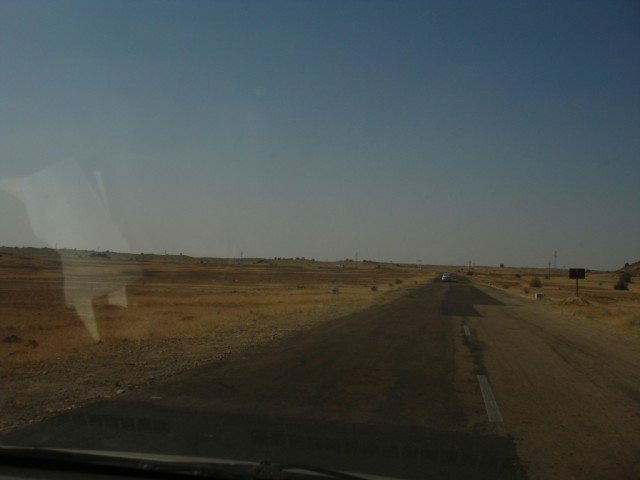 The drive again was an unique experience on its own, just mind blowing through the barren lands and deserts. Enroute are again various tourist places to visit. We could not visit those because of time constraints. 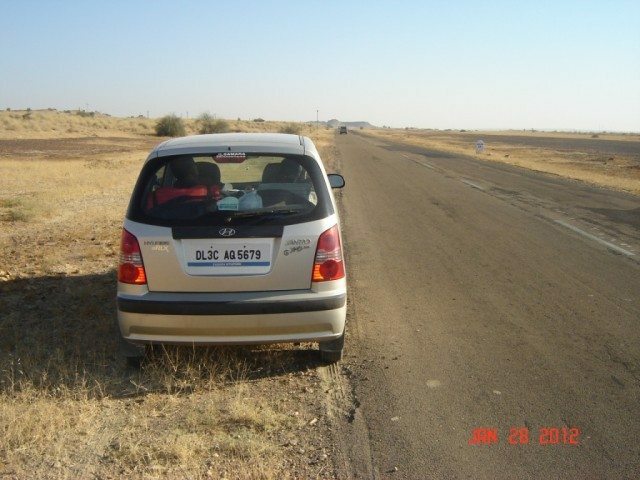 The next part of the journey was from Jaisalmer to Bikaner via Pokhran and Phalodi (NH 15). This was one of the best roads I have experienced so far in my life time. We started around 9:45 am from Jaisalmer. This drive is my best experiences so far. The road upto Phalodi is very good but, suddenly it hits a bad patch (but not for more than 10-15 minutes). The rest of the journey was smooth and after two tea breaks and a distance of around 330 kms we reached Bikaner around 1:30 pm. The final leg of the journey turned out to be worst. We decided to take the shortest route to Delhi via Jhunjhunu and entry via rohtak road (NH 11). This proved to be a mistake. 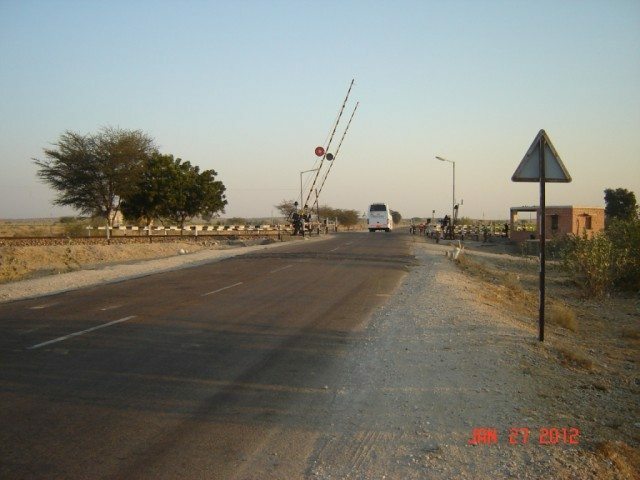 We also did a mistake when we took a state highway from Ratangarh for Jhunjhunu. My advice would be to take the route via Jaipur or Chomu or Churu. Even though those routes are longer, there will be no problems with the journey and no bad impact on your vehicle. The roads via Jhunjhunu (the state highways specially) were in a really bad condition and a distance of 430 kms took over 10 hours to cover. The highways were clogged with traffic and the villages in Haryana along it made the journey worse. It was overall a good experience and all the driving has given me confidence and heightened my sense of adventure. On way through NH8 and Jaipur bypass, there will be frequent toll gates while entering various places. Always keep the toll receipts with you, because quite often, you do not need to pay the taxes while making an exit and the existing receipts will prove that you have already paid an entry tax. Another important thing to note is that while coming back if one is taking the Jhunjhunu route (which I took), there will not be any toll taxes to be paid. It’s an open entry to Delhi. In all, one shall have to shell out an average of at least 400-500 Rs as toll taxes. ??? ???? ??? ?? ???????? ??? ??????? ?? ??? ?? ??? ?, ??????? ?? ?????? ?? ??? ?, ??? ???? ?– ????? ? ???? ??????? ???? ?????? ?? ????? ??? ?? ????? ???? ??? ????? ????? ?? ???????? ?? ?????? ?? ????? ?? ??? ?????? ?? ???? ????? ?? ???? ?????? ?? ???? ??? ????? ?????? ???? ? ?- ????? ?????? ?? ????? ?? ????? ?? ??????? ?? ????? ???? ?? ?, ??????? ????? ?????? ?? ???????? ????? ?????? ?? ??? ??? ??????? ???? ??? ???? ???? ?? ?? ???? ?????????? ??? ???? ??? ?? ???? ??? ?? ???? ???? ???? ?? ???? ?, ?? ???? ?? ???? ?? ???? ??? ??? ??? ???? ?? ???? ????? ?? ?????????? ??? ??? ???? ?? ???? ????? ?????? ??? ?? ??? ?? ?? ?, ???? ???? ?????? ???? ?? ???? ???? ??? ??? ?? ?????? ????? ???? ?? ??? ?????? ?? ?? ?? ?? ??? ??? ??? ????? LOL. Neeraj Ji, thanks. Photographer aalsi kaise ho sakta hain, when it was myself only. Maine gari chalate chalate hi photo khichi this, isliye pratibimb aa gaye hain. Jaha tak road ke sawaal hain, Jaipur se 2-3 roads hain, lekin best yahi hain. Otherwise, we will end up wasting a lot of time. ???? ????? ?? ?, ??? ??? ????-???? ????? ??? ?, ?? ?? ??? ?????? ? ?, ??? ?? ?? ??? ?? ???? ?? ?? ????? ?, ????? ?? ?? ??? ???? ??? ?? ????? ??? ?????? ? ???? ?? ???????? ?? ?????? ???? ???? ?? ?? ?? ?? ???? 75 ???? ????????? ?? ???? ?? ??? ????? ?? ?? ? ??? ?? ?? ???? ??? ?? ???? ????? ???? ?? ???? ???? ???? ?? ?? ?? ??? ?? ???? ?? ? ?? ?? ??? ?? ???? ???? ????? ?? ?? ???? ????? ??? ??? ? ???? ? ?? ??? ???? ?? ?? ???? ????? ???? ?? ??? ?? ??? ???? ???? ?? ? ??????? ????? ?? ?? ???? ????? ?? ???? ?? ?????? ??? ?????? ?? ???? Anupam ……… What a wonderful road review ……… (?? ????????? ?? ??? ??? ?? ???? ????? ) .Your post is very detailed with such wonderful info ……..
Did you pass through Kolayat en route to Bikaner from Jaisalmer (NH-15) ?????????? Kolayat (51 Km from Bikaner) has more than 100 mines of gypsum and limestone … or what one calls “multani mitti” ….The site is amazing ,looks af if someone has sprinkled white powder everywhere .. …. You are right the Jhunjhunu way from Delhi is worst ….. especially the stretch from Singhana to Chirawa …….. roads are fine till Narnaul and tend to become worst while entering Rajasthan ………….. I was really not aware of Kolayat on way, although i have heard of 100 mines of gypsum and limestone. Would definitely like to cover that one day. Thanks again for constantly pushing for improvement with important points. Raod reviews are my favorite stuff. Leaving at 3 can be a bit early (in terms of road safety) but one does save a LOt of time by getting past the city quickly. While doing the long distances, I often take pictures by being with-in the car by jutting out my camera outside. If you need a small ghumakkar car sticker set then write a short email to smita AT ghumakkar with postal address. Great series, Anupam. Very useful info for people who prefer to drive on their own. Very in formative and good post………….. I plan to take a road trip to jodhpur from Delhi. Can you advise me the best route and some advise. I am extremely sorry, i did not visited Ghumakkar site for so long and could not answer your query. Is you trip already done? This is a great post. My husband and I are planning to take the same route and your blog has given us a lot of confidence. That’s Wonderful Antra. Hope you have a wonderful trip. First of all , i would like to congratulate you on a very elegantly written post. I am planning to go to jaisalmer this weekend from jaipur. After much research, I have found that the road through nagaur , though shorter, should be avoided as it is two lane and one can easily lose the way. The other way is to go via Bikaner or Jodhpur to jaisalmer. I have chosen to go via Bikaner as I have read the roads are much better , though the route is longer by approx 60km. I would want to know from Anupam and others , if to via bikaner to jaisalmer is a good option and if anyone in recent times has been there ? 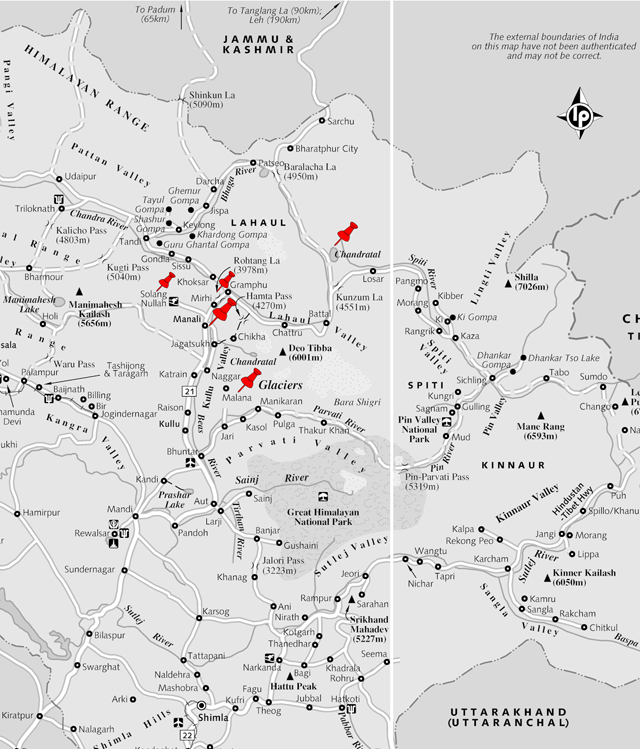 Also i would like to know the petrol pumps and refreshement stalls/dhaba frequence on the bikaner – jaisalmer stretch. I really appreciate that you are going to Jaisalmer. Both the stretches “Via Jodhpur” and “Via Bikaner” are good and will give you varied and excellent experience. I would suggest you go via Jodhpur and come via Bikaner. You should not miss either of the experience. That is the beauty of Rajasthan. On one hand long never ending highway with barren lands on both side, on the other hand, excellent Delhi->Jodhpur->Jaisalmer highway. Regarding Petrol pumps, Jaisalmer has got quite a number of petrol pumps. Fill up your tank in Jaisalmer before you move to Sam Sandunes. Sam is 42 KM from Jaisalmer and there are no petrol pumps enroute. So up and down around 84KM there are no petrol pumps. Enjoy your trip. Stay in Jodhpur for a day and see the Jodhpur fort too. Its beautiful. So is the Junagarh fort in Bikaner. Another very important thing: If you go to Jaisalmer by train, i have heard that is an altogether different experience, when the train runs through the desert. The train journey that would not suit our short sojourn , as it runs through the night and it would be difficult to enjoy the scenes then. Just to share a bit more .. I have planned to travel to Jaipur from delhi on a friday afternoon stay there overnight and then jet off from Jaipur to Jaisalmer via Bikaner ( should take 10-12hrs ) . 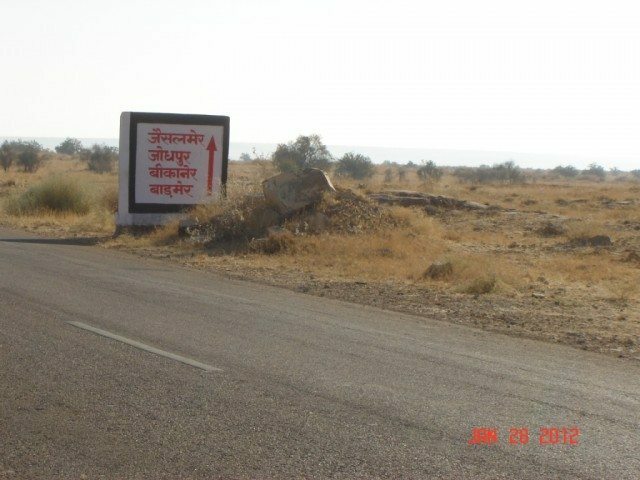 Then after staying there for a couple of days i would return to Jodhpur via pokhran . Stay in jodhpur for a while and then return to Delhi in a day. I think this would cover both the routes via jaipur. I think this should be doable in lets say 5 days. Do you think so to ? Very easily sir, just go through the post, how i covered the 3 destinations: Jodhpur, Jaisalmer and Bikaner. In Bikaner we just visited the Junagarh fort and on way destinations and local Bikaner. Jodhpur will require One day to visit various places (see the write-up all the 3 parts). Jaisalmer, if you can reach early you can finish up the Fort by 2 PM and book the Sam tent from the fort itself (look the writeup for govt authorized tents). Reach Sam by 4PM, around 1 and half hours it will take. Next morning, start around 9:30 to 10AM and back for next destination. I do not normally prefer night journeys when self driving, so i can’t comment. Also, i haven’t traversed the routes you are asking. Need to know how r the roads now from delhi to bikaner via jhunjhunu. Planning a trip to jaisalmer via bikaner n return from jodhpur. Jaisalmer to Bikaner is awesome, and covering that once should be a lifetime target. Road from Jhunjhunu to Delhi is not good if you take the state highway. One way should be via Jodhpur, other way should be via Bikaner. Sir, I want to visit jaiselmer, please suggest which route I will take for smooth driving experience. also how will be the weather in Dec end, should I carry woolens as well. I am leaving for Jodhpur from Delhi on 1st, will proceed to Jaisalmer on 3rd, returning on 5th to Jpr and 6th to Delhi. Your detailed travel note is a value addition for me to plan my trip. I donot know when did you post this? 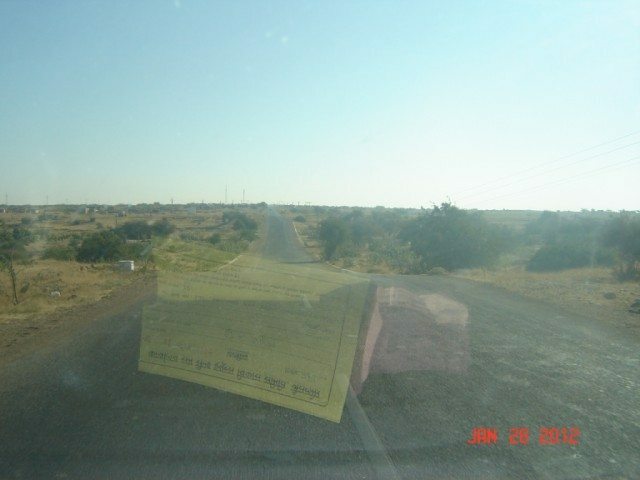 jaisalmer…..Nagaur—Jpr rout is seems to be very short. 1) Is it required to go to Bikaner on return ? Is anything special there that is not there on route I am following . I was planning to skip Bikaner and return via Jodhpur only . Pls advsie . I hope you had a comfortable trip. As I am planning a trip from Delhi to Jodhpur, do you have any suggestions as you have traveled recently. How is the road overall? Did you take the Ajmer bypass to bypass Jaipur? Is it well marked? Also, did you enter Beawer or take a bypass? We are planning 7-8 days road trip to jaisalmer including jaipur and udaipur. Can anyone help me out in making a itenary?? I am Planning to go From New Delhi � Bikaner -Jaisalmer-Jodhpur-Udaipur-Mount Abu � Udaipur-Pushkar-Delhi. Please suggest the best route and the road condition . Also suggest the Must see places to Cover. I have not been to Udaipur by road, so can’t comment on that. Hi Vivek – For Udaipur-Delhi, roads are excellent (via Bhilwara, look it up on google maps). Depending upon the total days, you may want to include Chittor for your drive back to Delhi. Thanks Nandan & Anupam. Chittor is already in the plan and will stay in pushkar on the same day. Your post is still among the only resources available for a Delhi to Jodhpur traveller. Could you be able to tell me the name of the place fromwhere the Ajmer bypass is (you’ve mentioned 45 km before Jaipur) begins. I don’t want to miss that and get into the city. You continue in NH8 straight and you will enter Jaipur. Indeed, it is a good review. Please forgive people who have given funny and critical comments. Anupum, could I call you regarding the Jodhpur journey, where to stay in Jodhpur if we go by car from Delhi. Which place hotels near to site seeing.